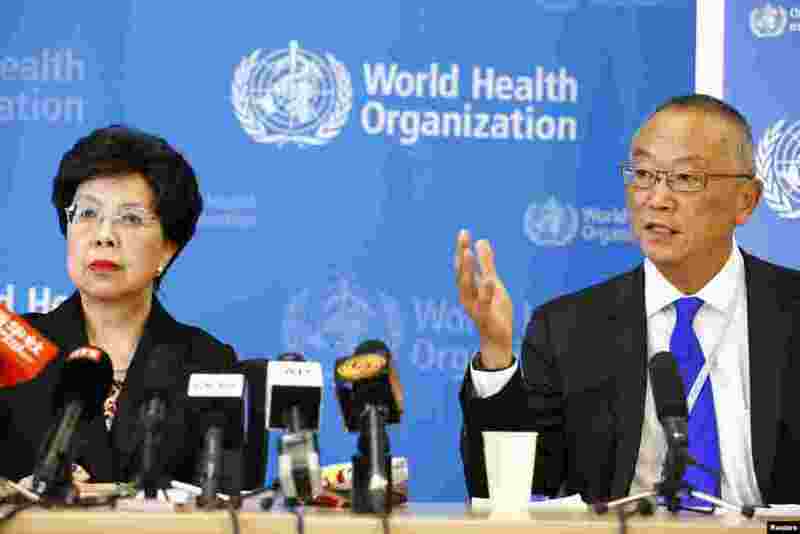 1 World Health Organization (WHO) Director-General Margaret Chan sits next to Keiji Fukuda, WHO's Assistant Director-General for health security after an emergency meeting. 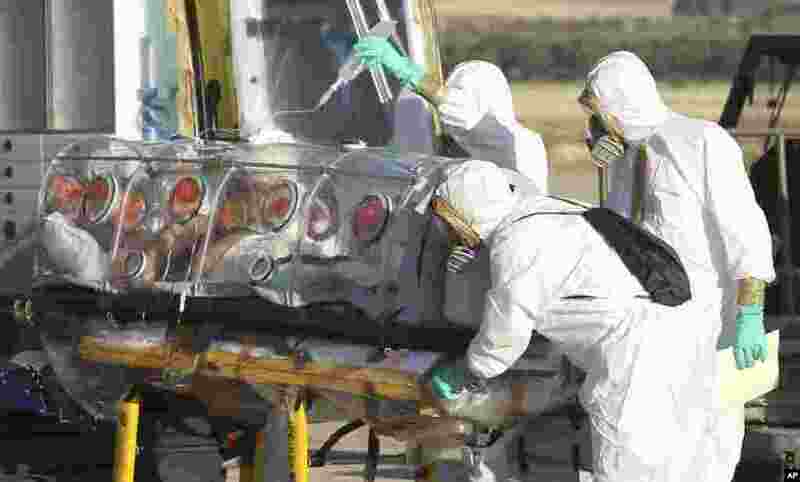 The WHO announced that West Africa's epidemic of Ebola is an "extraordinary event" and now constitutes an international health risk, in Geneva, Aug. 8, 2014. 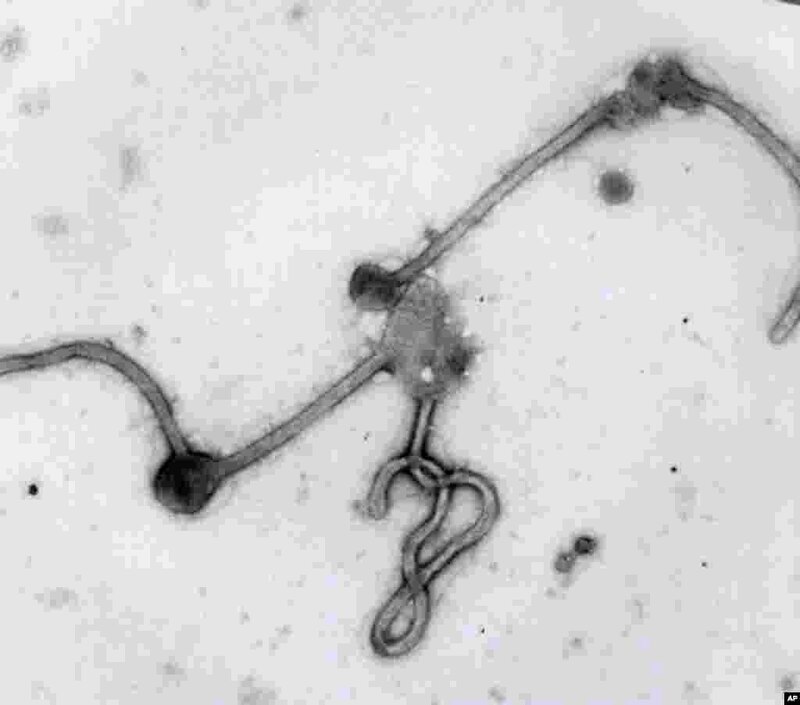 2 This undated photo made available by the Antwerp Institute of Tropical Medicine in Antwerp, Belgium, shows the Ebola virus viewed through an electron microscope. The World Health Organization on Aug. 8, 2014 declared the Ebola outbreak in West Africa to be an international public health emergency that requires an extraordinary response to stop its spread. 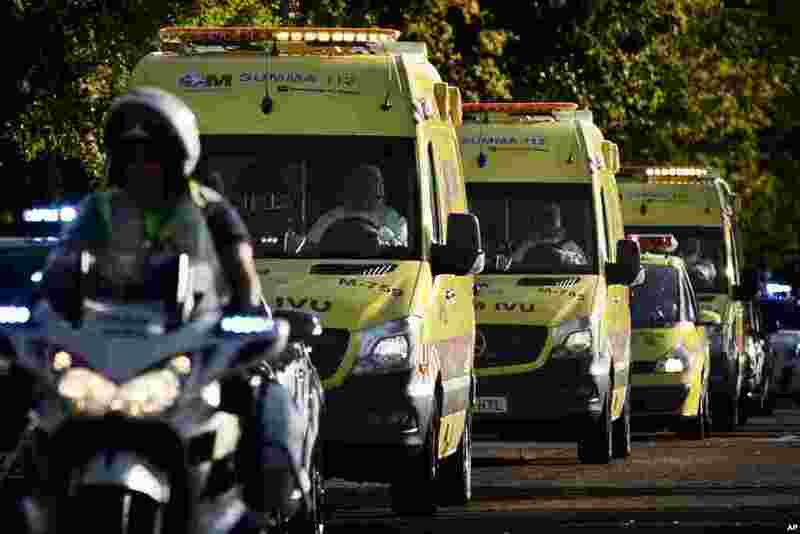 3 An ambulance transporting Miguel Pajares, a Spanish priest who was infected with the Ebola virus while working in Liberia, leaves the Military Air Base of Torrejon de Ardoz, near Madrid, Spain, Aug. 7, 2014. 4 Aid workers and doctors transfer Miguel Pajares from a plane to an ambulance as he leaves the Torrejon de Ardoz military airbase, near Madrid, Spain, Aug. 7, 2014.